This month ACTEX is traveling to Thailand for our Actuaries Around the World series. Tommy Pichet, FSA, FIA, FSAT, FRM, MBA, MScFE (Dist. ), B.Eng (Hons), is a qualified actuary with nearly 20 years of experience across Asian insurance, finance and employee benefit valuation and management. He has worked in the valuation of insurance and retirement benefits, product pricing and development, actuarial modeling and financial risk management, and M&A activities. He is president of The Society of Actuaries of Thailand (SOAT), and Chairman of the Actuarial committee of Thai Life Association Assurance (TLAA). 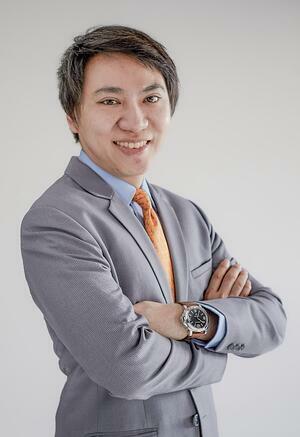 He was awarded the Association of South East Nations (ASEAN) Young Manager Award (YAMA) in 2012 from the ASEAN insurance industry and the National Statistician Award in 2016 from the Thai Statistical Association. He holds two master’s degrees from City University of Hong Kong in Financial Engineering and Business Administration. He is currently Managing Director and Founding Owner of Actuarial Business Solution Co., Ltd and is an honor lecturer at NIDA University. (AL): What is the word for actuary in Thai? (TP): In Thai script it is, นักคณิตศาสตร์ประกันภัย or แอคชัวรี (transliteration of actuary). In Roman script it is Nạk Khṇitṣ̄ās̄tr̒ prakạnp̣hạy. (TP): Being creative in engineering and evaluating financial products using statistics and financial mathematics. (TP): I once decided to quit being an actuary in my life due to hardships in the exam journey. However, I persevered down this path because I really like applying actuarial knowledge to the business world. (TP): Find what you like to do and do it to the best of your ability. With passion, it will bring you to a prosperous journey in this career. (TP): In the future, an actuary will not be a professional who only works in the insurance industry. There will be half of actuaries working in other areas. (TP): IT and language skills. (AL): What is your favorite Excel function and why? (TP): Vlookup function – basic and simple but very useful. (TP): No, actuarially related activities are my hobby. (TP): The association (Society of Actuaries of Thailand) currently has 266 members. (TP): There are many universities in Thailand providing actuarial science majors, minors, or concentrations. (TP): Some but not all. (AL): Is there anything else you would like to add? (TP): You will be the most fortunate person if your work and your hobby are the same. Love it, do it, and make it happen.